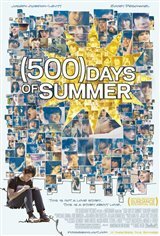 This is a story of boy meets girl, begins the wry, probing narrator of (500) Days of Summer, and with that the film takes off at breakneck speed into a funny, true to life and unique dissection of the unruly and unpredictable year-and-a-half of one young man's no-holds-barred love affair. Tom, the boy, still believes, even in this cynical modern world, in the notion of a transforming, cosmically destined, lightning-strikes-once kind of love. Summer, the girl, doesn't. Not at all. But that doesn't stop Tom from going after her, again and again, like a modern Don Quixote, with all his might and courage. Suddenly, Tom is in love not just with a lovely, witty, intelligent womannot that he minds any of thatbut with the very idea of Summer, the very idea of a love that still has the power to shock the heart and stop the world.